Can I get Talking Pictures on Freeview Where I live? Enter your address into Freeview’s coverage checker to see if Talking Pictures TV is available in your area. I have Talking Pictures On Freeview and now its disappeared? – If the above does not fix the problem it could be a sign of a weak signal – have you noticed that the picture has been breaking up recently where it used to be ok? TV signals can be affected by the atmospheric conditions, including heavy rain or snow and high air pressure (which brings fine weather). On Freeview, this may result in temporary picture break up (pixelation), loss of channels or you might receive signals from outside of your area. The only solution available for this is to wait for the weather to change. If you know there is high pressure do not retune, the channel should return when the weather passes. Occasionally maintenance work is required on the transmitters and the power may be reduced while this is carried out. If this is the case do not retune, the channel will return when the work is completed. This work is generally carried out during the working day and the periods of reduced power are kept as short as possible. You may have an issue with your receiving antenna so have you noticed more interference than before with other services? If so, an antenna installer may be required to look at the installation to diagnose this further. If you continue to have problems we recommend you call the Freeview Advice line who will be able to help you in more detail. – Try another retune first to see if this restores the service. – If the above does not fix the problem it could be a sign of a weak signal – have you noticed that the picture has been breaking up recently where as it used to be ok? TV signals can be affected by the atmospheric conditions, including heavy rain or snow and high air pressure (which brings fine weather). On Freeview, this may result in temporary picture break up (pixelation), loss of channels or you might receive signals from outside of your area. The only solution available for this is to wait for the weather to change. If you know there is high pressure then try retuning again when the weather passes. Occasionally maintenance work is required on the transmitters and the power may be reduced while this is carried out. This work is generally carried out during the working day and the periods of reduced power are kept as short as possible. Try retuning again in the evening as the work should have been completed and the signal restored to normal. You may have an issue with your receiving antenna so have you noticed more interference than before with other services. If so, an antenna installer may be required to look at the installation to diagnose this further. What Aspect Ratio are TPTV Films and Shows? To preserve the original format of Talking Pictures TV’s vast collection of films, and playing them as they were meant to be played is really important to us. All content will play out in its native aspect ratio. Most of the film titles within this archive are in their original 4:3 format and thus will they play out in this manner, airing alongside 16:9 commercial and interstitial content. Please note both TV & Decoder must be set up correctly to enjoy Talking Pictures TV as intended. Your television set must be configured to its Automatic (Auto), Original or Smart Aspect Ratio setting to ensure that the image adjusts to reflect the Aspect Ratio of the content being viewed. Note: ‘Aspect Ratio’ or ‘Picture Size’ Settings may be under the Tools or Menu button on your remote. If you can’t find it, please check your TV instruction manual for further information. Note: If the television is not configured in this manner, the aspect ratio may default to 16:9 and as a result 4:3 films will appear stretched along their horizontal axis, notably disrupting the viewing experience. 1. Use your TV remote control to select the input or channel used to view SKY TV. 2. Press the select button (the oval button inside the four arrows) on your SKY remote control. 3. Highlight the Setup Icon (Spanner) using the left and right arrow buttons on your SKY remote control. 4. Highlight Advanced Set-up and press the select button. 5. At the Advance Setup screen enter your 4-digit pin number and press the Select button (Please contact SKY if you are unsure of your pin number). 6. Press the up or down arrow button until TV setup is highlighted and press the Select button. 8. The decoder will go back to the Advanced Setup screen. Press the go back button twice more and you will go back to viewing the SKY Channel. On the SKY set top box set-up menu, viewers who are watching widescreen programmes on standard 4:3 television sets can select from two different options - 4:3 letterbox and 4:3 centre cut. We recommend that viewers select the centre cut option. 2. Press the Select Button (the oval button inside the four arrows) on your remote. 3. Highlight the Setup Icon (spanner) using the left and right arrow buttons of your remote control. 4. Using the Up and down arrows highlight Advanced Setup. 5. At the Advanced Setup screen enter your pin number and press the select button (Please contact SKY if you are unsure of your pin number). 6. Press the Up/Down button to highlight TV setup and press the select button. 7. Press the Up/Down button until 16:9 Widescreen is highlighted. Press the select button. 8. The decoder will go back to the advanced setup screen, press the go back button twice more and this will take you back to viewing. What Display Settings should my TV be set to? To fully appreciate the original aspect ratios, your television set must be configured to its automatic, or smart, aspect ratio setting to ensure that the image adjusts to reflect the aspect ratio of the content being viewed. If the television is not configured in this manner, the aspect ratio may default to 16:9 and as a result 4:3 films will appear stretched along their horizontal axis, notably disrupting the viewing experience. Most televisions are configured to automatically adjust as part of their factory settings but should anyone experience a film appearing horizontally stretched or visually distorted, you should check this setting first to ensure that their television has been configured correctly. Can I watch Talking Pictures on my YouView set top box? How do I tune to Talking Pictures TV through my Freesat box now? Will Talking Pictures TV be available on Freesat? Is Talking Pictures TV available on Virgin? Where Can I find the Talking Pictures TV schedule? 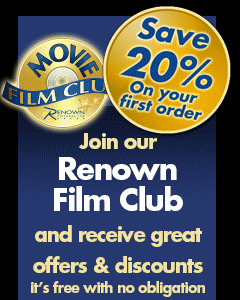 I you sign up to the TPTV newsletter or join the Renown film club and the schedule will be emailed to you. Our listings are now printed weekly in the RADIO TIMES, THE DAILY MAIL, the magazine ‘TV & Satellite Week’ and also in the free Sun newspaper magazine every Saturday. If there is another magazine you buy regularly then please do request them to carry our listings as sadly there is nothing we can do to convince them.